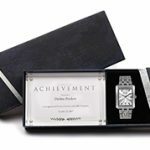 Custom logo watches are the perfect solution to commemorate important milestones, acknowledge exceptional performance, and provide incentives for continued achievement. 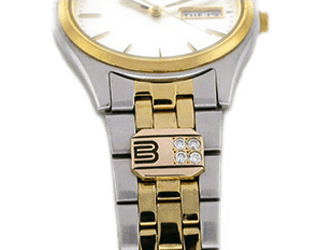 Attach your custom emblem, hand-crafted by Terryberry artisans, to the band of these stylish business logo watches and enhance the lasting memory of the service they represent. 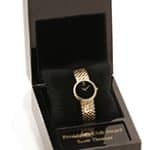 If you’re looking for gifts to enhance your employee rewards program, Terryberry offers custom logo watches to reward and recognize special contributions. 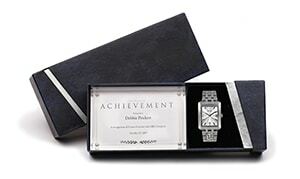 Fine watches from brands you’ll be proud to present to your award recipients, including Movado, Seiko, Citizen, Bulova, Tag Heuer and many more, are beautifully customized with your company logo or emblem to create a truly one-of-a-kind award. A custom medallion dial displays the intricacies of your company logo. These beautiful die-cut watch faces are jewelry quality. Medallion dials can also be upgraded with the addition of diamonds at the hour marks to commemorate career progression or other milestone achievements. 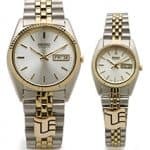 Terryberry offers many quality watch brands like Seiko, Bulova, Citizen and more that can be customized with a medallion dial. Contact us for more information about these medallion dials for custom logo watches. 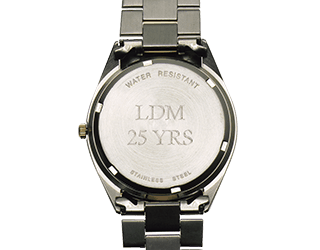 Engraved watch cases can highlight an award recipient’s initials, years of service, retirement or other special commemorative dates. Include your company emblem as a tie-tac or charm to accompany your engraved awards. An emblem customization on a watch band is the perfect way to reward exceptional performance or showcase important milestones. Terryberry designs and crafts custom emblems using your corporate logo or other symbol. Emblems are crafted of precious metals and can even be enhanced with gemstones. Bracelets or leather bands, Terryberry’s expert jewelers can customize virtually any watch band from our vast collection of watch options. 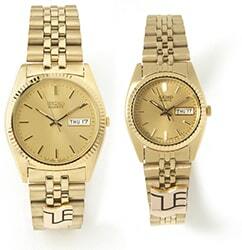 Contact us for more information about available custom logo watches in our employee rewards program. Adding your logo to the dial of an award watch is a great way to create a special award and to enhance the design of a fine timepiece. Our imprinting process faithfully reproduces your logo in detail and color. 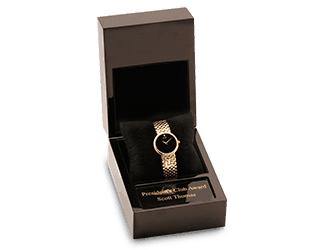 Custom logo watches are the perfect employee recognition award solution to commemorate important milestones, acknowledge exceptional performance, and provide incentives for continued achievement. 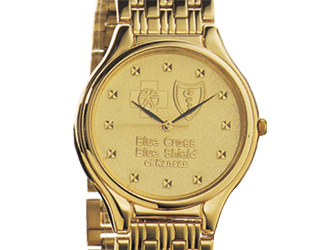 Attach your custom emblem, hand-crafted by Terryberry artisans, to the band of these stylish custom logo watches and enhance the lasting memory of the service they represent. 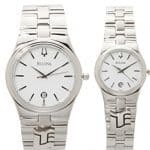 If you have decided to present employees with award watches as their employee recognition awards you will find a perfect fit in Terryberry’s collection of award watches. 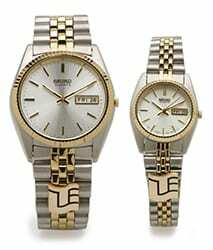 Terryberry offers custom watches to reward and recognize milestones and achievements. 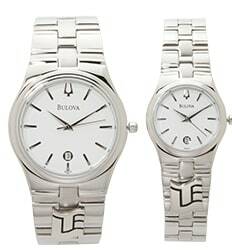 High quality brands including Movado, Seiko, Citizen, Bulova, Tag Heuer and many more, are customized with your company logo, emblem or engraving to create a truly unique, lasting award. 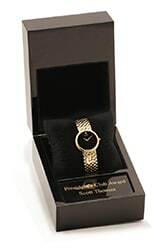 There are many customization possibilities for our employee recognition awards watches. 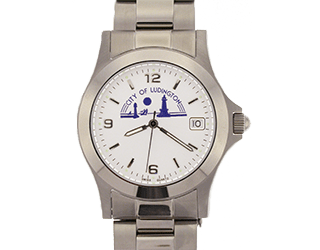 Engravings, medallions, watch cases, emblems and more are just a few of the personalization options. View our gallery for examples or contact us to get started.